A home inspection is a visual and functional inspection of all major systems of the home, including the structure, roof, exterior, interior, electrical system, HVAC system(s), plumbing system, and appliances. Although a home inspection is non-invasive, many defects will leave visual evidence that can be spotted by a highly trained inspector. All access panels will be opened including the main electrical panel. Any areas or components that cannot be accessed or inspected will be noted. The inspection report will document the technical details of the home as well as any defects or deficiencies. A typical home inspection lasts 2-3 hours, and we encourage our clients to attend the inspection when possible. 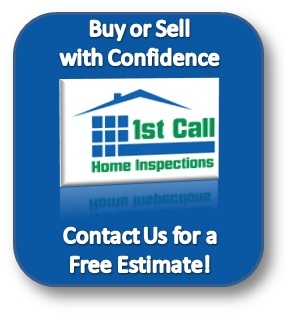 Our home inspectors use a variety of specialized tools to further enhance the home inspection. Moisture Meter – This tool allows the inspector to determine if water stains are active or if they remain from a previous incident which has been repaired. Combustible Gas Detector – This tool is used by the inspector to check for gas or propane leaks in fuel supply lines and to check for exhaust leaks in combustion appliances such as water heaters, furnaces, and boilers. Infrared thermometer – The inspector uses this tool to verify that all HVAC vents, radiators, and/or baseboards work properly. It is also used to check the hot water temperature. Outlet Tester – The tester indicates if an outlet is wired correctly or if it is ungrounded or has the hot and neutral wires reversed (reverse polarity). This tool can also test the circuit to see if it is protected by a working ground fault circuit interrupter (GFCI). Digital Camera – This tool is used document defects found in the home. It is especially useful for documenting defect in areas the client is unable to access or see firsthand, such as the roof, attic, or crawlspace. Tablet Computer – The computer is used to write the inspection report in real time during the inspection. Other basic inspection tools – Tape measure, level, screw driver, pliers, and adjustable wrench. These are just a few of the places we look, and the problems we find, when inspecting a home.